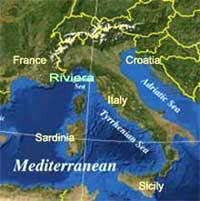 Welcome to Mega Yacht Rentals Sardinia and Europe. Here you can find it all - culture, history, beauty, cuisine, peaceful bays, secluded islands, fantastic ports and nightlife. Mediterranean destinations have so much to offer in relaxed atmosphere. Sardinia is well known as one of the key playgrounds in the Mediterranean for the Rich and Famous, but you can also find an ancient Sardinia, home to shepherds and medieval churches. Sardinia's Costa Smerelda offers some of the best anchorages in the Mediterranean, and Porto Cervo is the place to head to mingle with the rich and famous during the summer months. To the south, the Costa Verde stretches out with a wild expanse of vast golden beaches. There are also many impressive rock formations called nuraghi, hewn from the limestone rock by the first settlers. 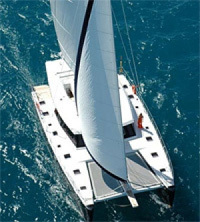 Sardinia offers you everything you`d want in a Mediterranean destination, and is higly recommended.